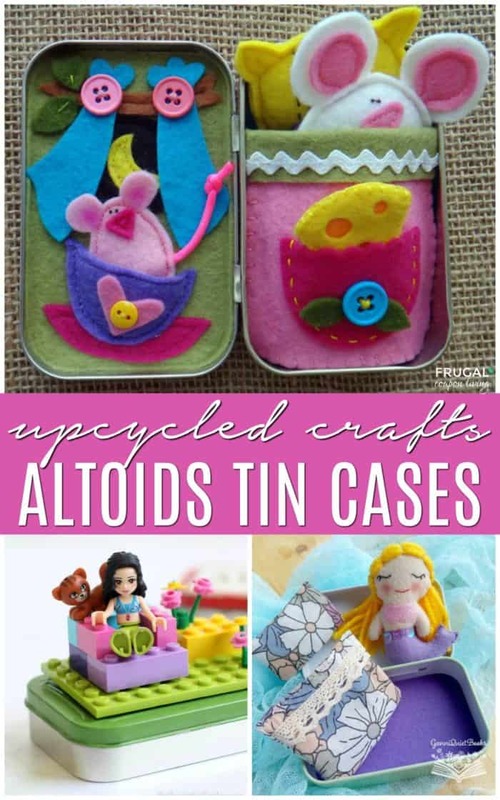 If you have some extra mint cases around your home, you will want to take a look at these Upcycled Altoids Tin Ideas. Creative hacks, tips and uses for travel, play, and display. We eat a lot of mints. It might be the best way I get my kids to pass the breath smell test. (Before we talk hygiene, yes, I do make the brush multiple times a day!) Anyways, mints seem to be our solution over gum. Each time we visit a container I truly hate tossing these mint cases away. 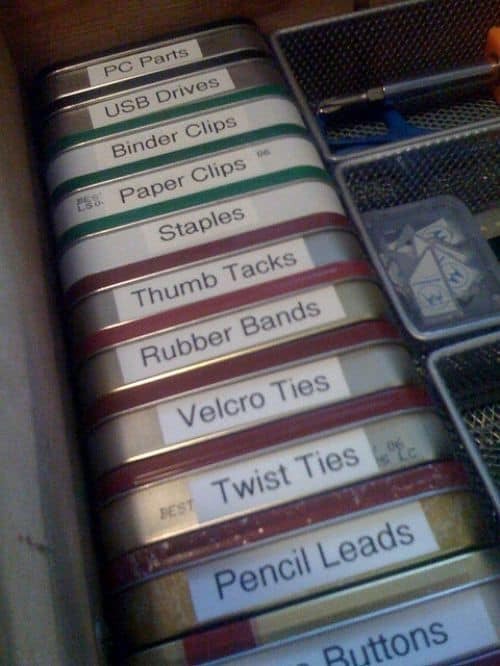 There are so many creative uses for them and there is no reason they should end up in a landfill… thus this post! 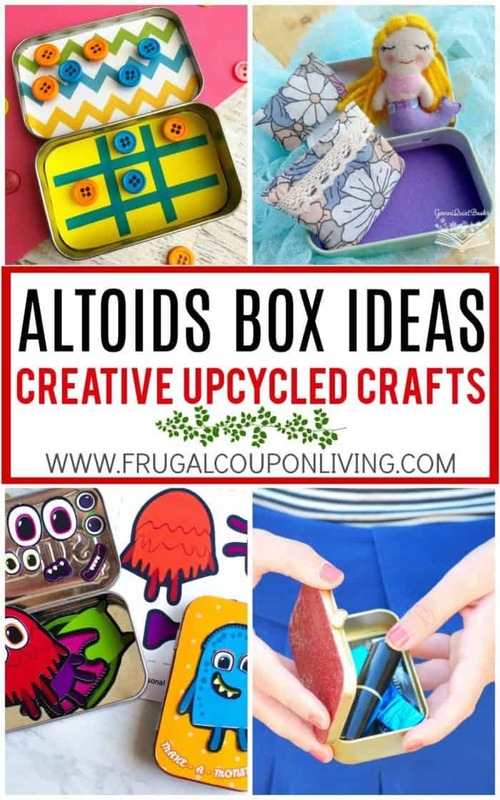 We found some very creative Upcycled Altoids Tin Ideas. From adorable little mouse and mermaid homes, to LEGOs on the go, useful first aid and sewing kits to ornaments for your tree. These upcycled craft ideas take something old and turn it into something new, useful, and environmental friendly! 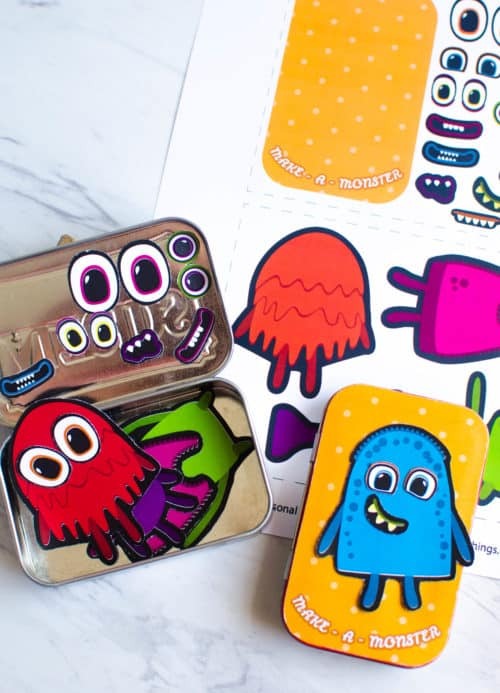 Make this adorable monster activity for your kids using an empty Altoid Tin and free printable from Fun Loving Families. Fun travel game for kids! 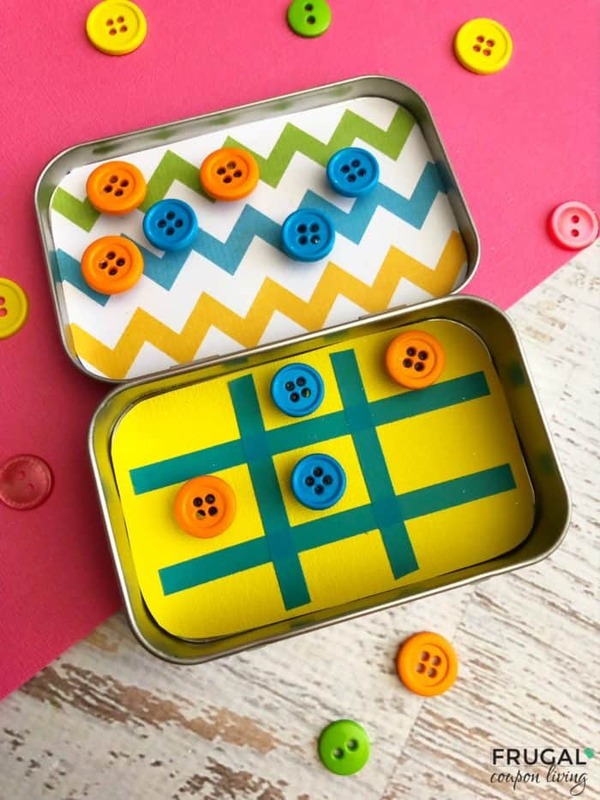 Enjoy our very own Upcycled Tic Tac Toe Travel Game Altoids Box. 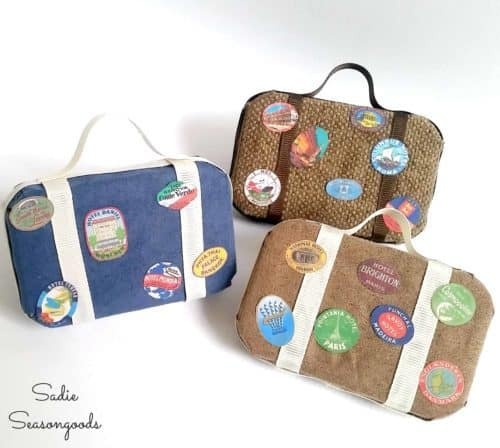 Sadie Seasongoods teaches you how to use Altoids tins to create these adorable vintage-style suitcase Christmas ornaments with fabric, ribbon, and miniature travel labels. Here’s one for you moms. 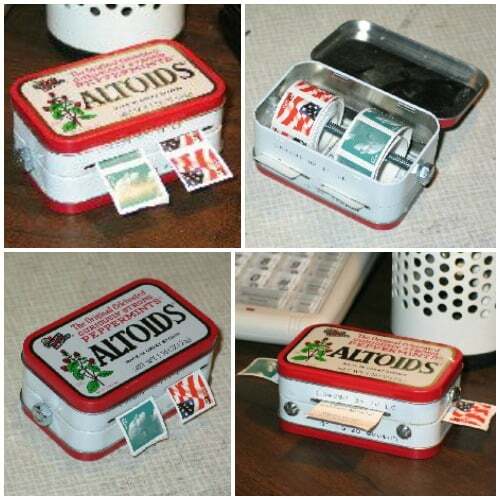 You can turn an Altoids tin into an all-purpose carrying case for your credit/business cards, ID, cash, lipstick, gum and more! Thanks Creme de la Craft! This is a great gift for dad. 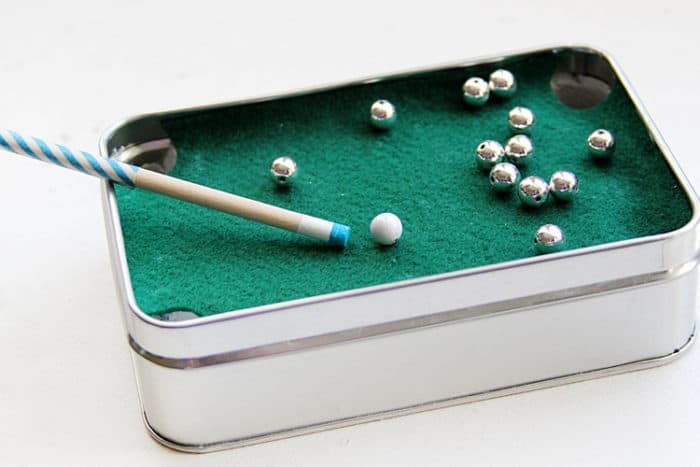 Turn an Altoids Box into a Mini Pool Table. Excellent tutorial from Consumer Crafts. 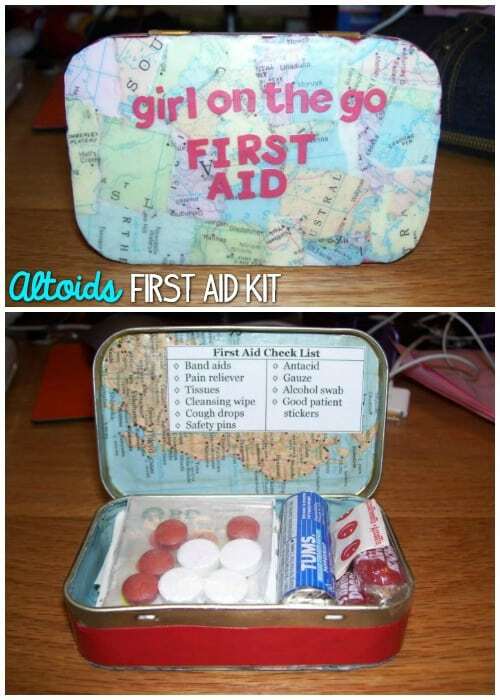 Get inspired by this Altoids First Aid kit from Craftster. It makes a thoughtful gift when seeing a friend off or can be nice resource for international travel. 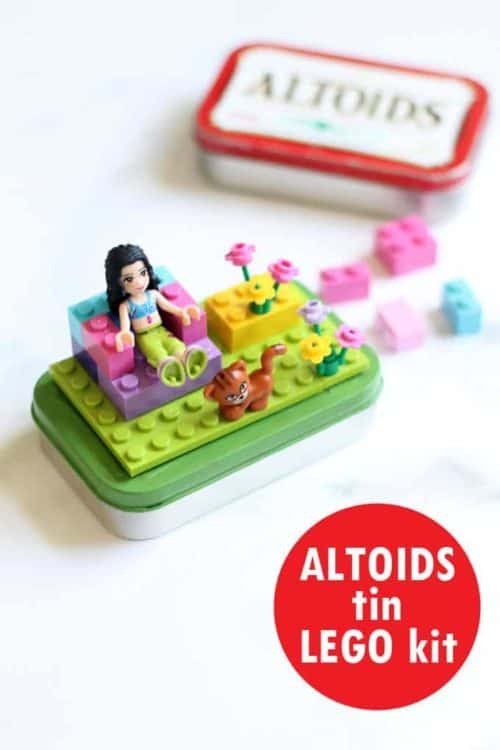 Make a little person inyour life her very own fairy tale in a tin! 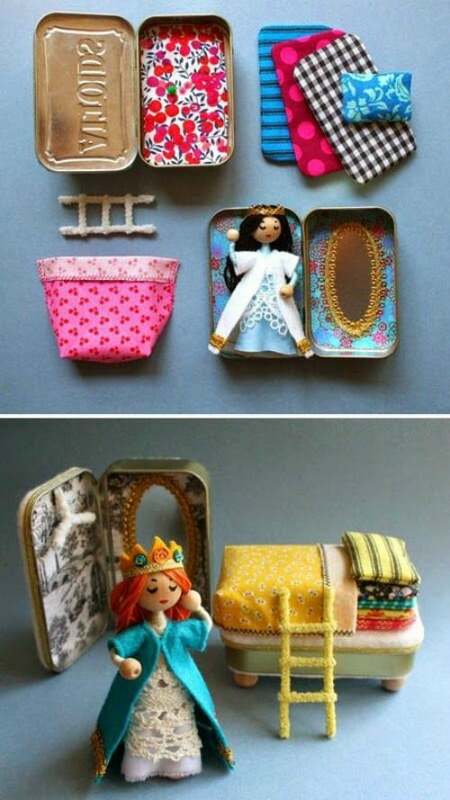 This Princess and the Pea PDF pattern will show you how to craft a tiny poseable princess doll with a lofty bed and her own fancy closet, all scaled to fit inside two recycled Altoids tins. On the go? 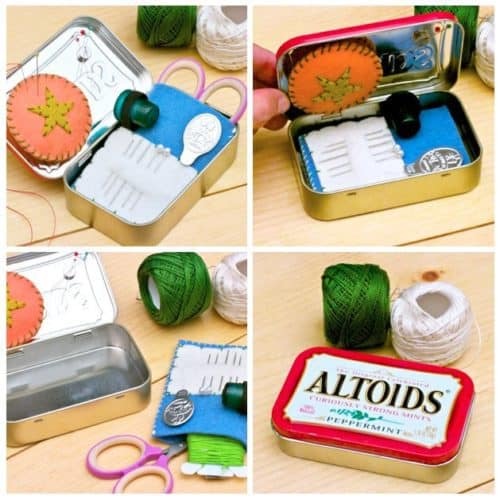 If you are a modern day Mary Poppins, make sure to Altoids Tin Sewing Kit with tutorial from Makezine. Have a ballerina? This dance tip is great! 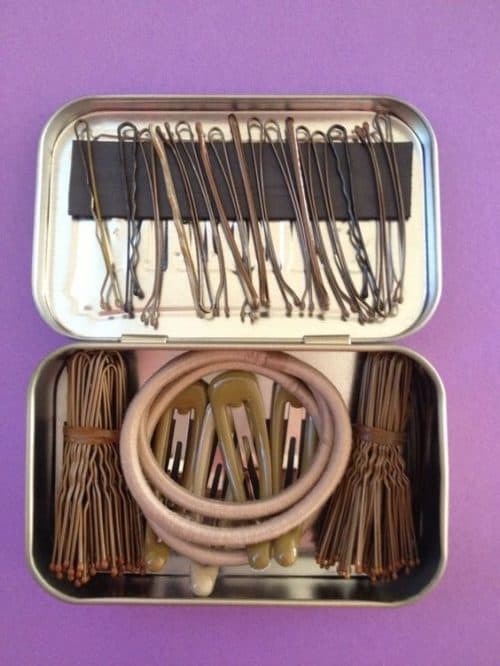 Upcycle an old tin case to make a bun on the go kit! 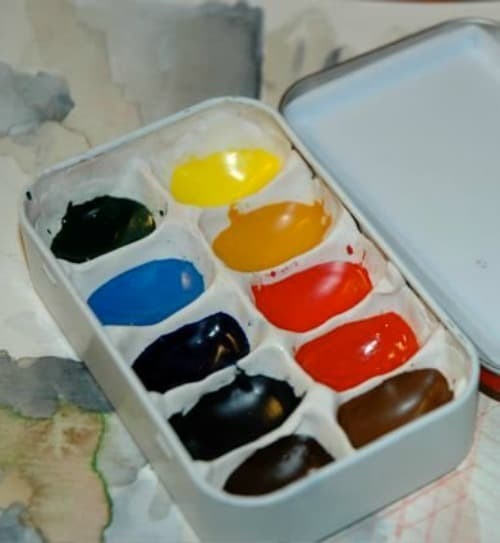 The Instructables has an adorable tutorial with upcycling your Altoids Case into a Watercolor Box. Hold your stamps in this adorable little stamp case. 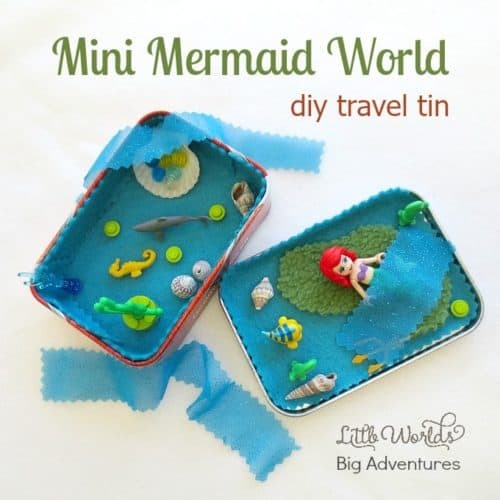 Using any of your mini dolls and their accessories, make something like this Little Mermaid Travel Tin from Little World Big Adventures. 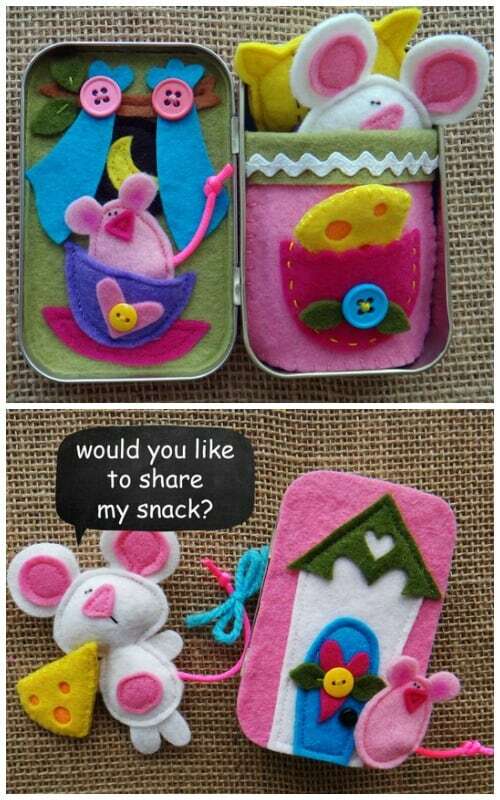 Follow this Mouse House PDF Pattern for your Altoids Box. This is an adorable sewing activity and travel toy. Sweet Dreams Tiny Mouse! 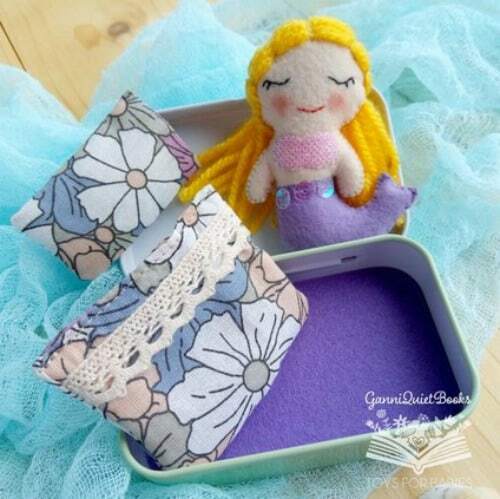 If sewing just doesn’t happen in your home, purchase your Upcycled Altoids Box like Mermaid Felt Doll Bed. 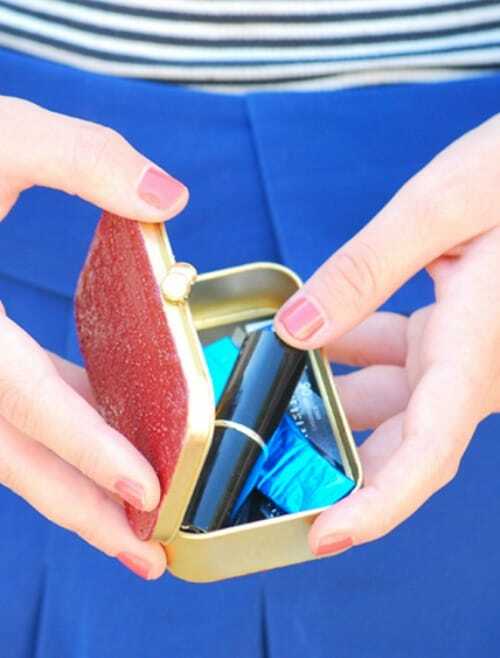 Organize small things with this Mint Tin Home Organization Idea – perfect for small things! “In this box I will lay, the little tooth I lost today. 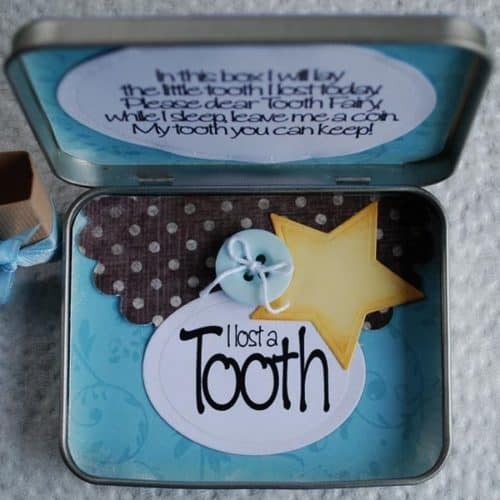 Please dear Tooth Fairy, while I sleep, leave me a coin, my tooth you can keep!” Tooth Fairy Mint Tin Box Idea is great for young children who are loosing their first teeth. 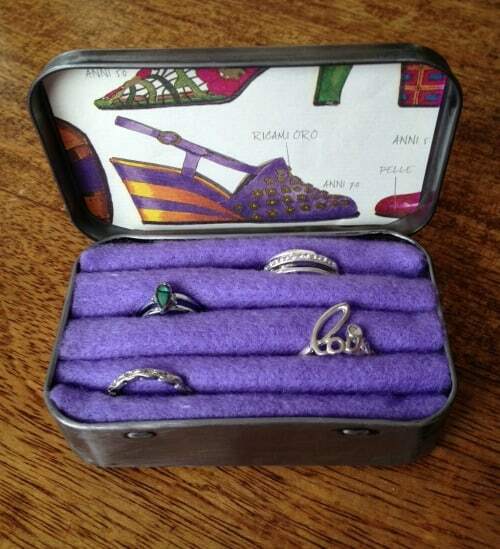 With this case, I hold this ring – adorable Mint Tin Ring Holder from Leonie Sinclair. 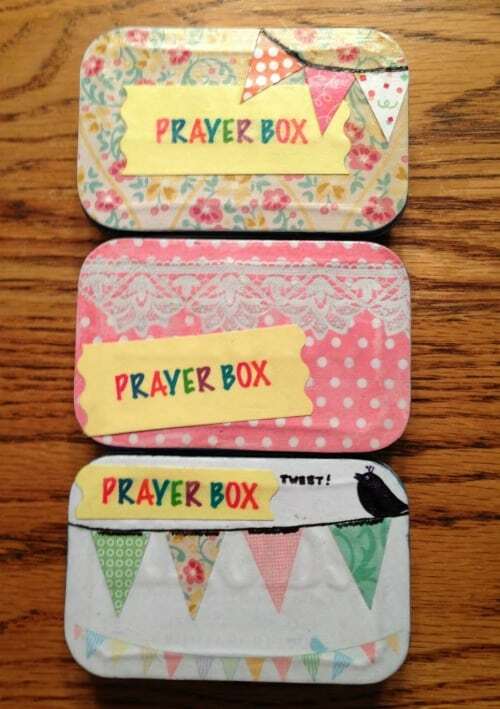 Turn your Mint Tin Case into a Prayer Box with this tutorial from Travelers Dream. Ready for Christmas Traditions? Turn your Mint Tin Boxes into a DIY Advent Calendar with this idea from Hand Krafted by Stephanie. 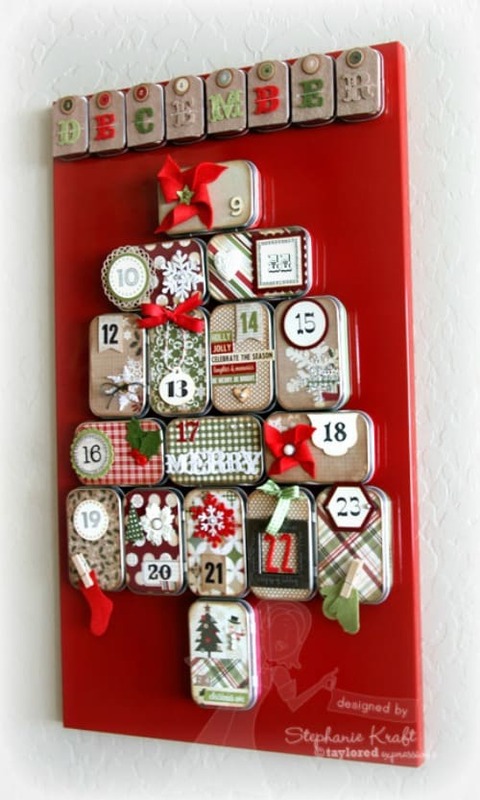 Don’t forget our full list of Homemade Advent Calendars. 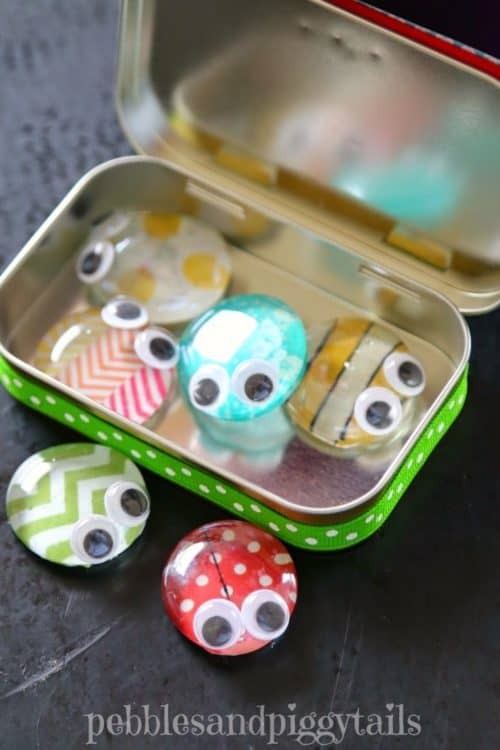 Make a house of buggles with this upcycled altoids tin craft from Making Life Blissful. Looking for craft upcyles that require little investment. 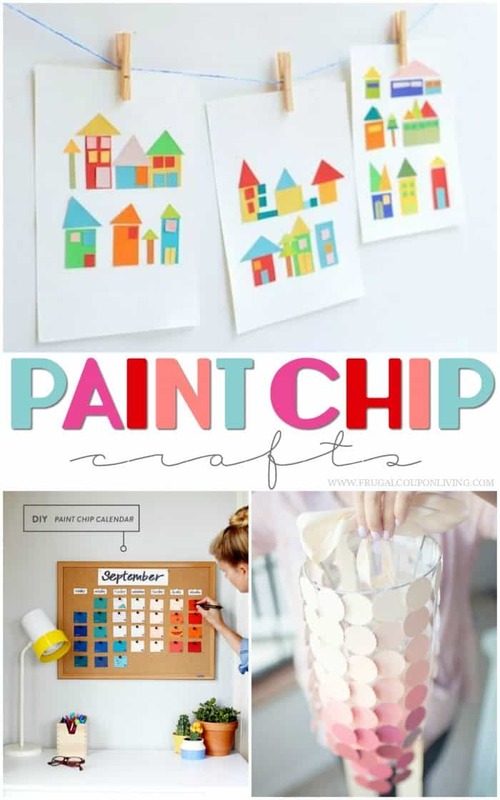 These Paint Strip Craft Ideas are the best for an afternoon of crafting! Pin to Pinterest. Also shop your local yard stales. 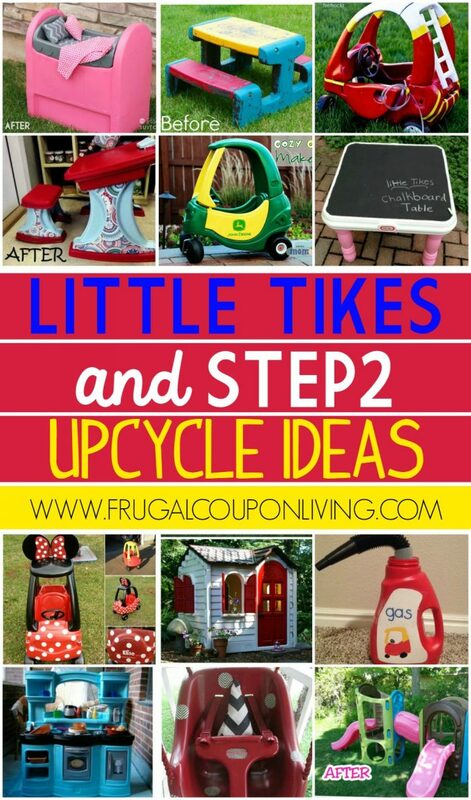 You won’t believe the many things you can do with Upcycled Step2 and Little Tikes Toys. Pin to Pinterest.